Technology evolves every year. From new and improved features, cutting edge gadgets, and further refinements to algorithms, the domino effect is that the marketing landscape is constantly changing over time. What has worked one or two years ago may not work today. 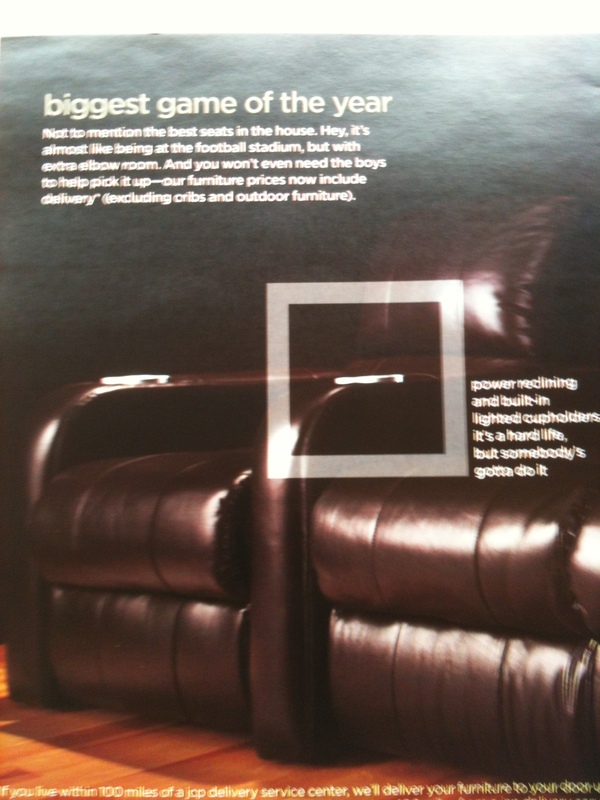 So the name of the game for brands and marketers is adaptability. The upcoming trends present more opportunities in terms of audience growth and visibility, but the fact of the matter is also that the market is getting saturated. Because of this, staying ahead of the crowd can easily be the difference between taking the lead or falling behind in profits in 2019. Take a look at some of the trends thought leaders in digital marketing have predicted for this year. Google announced last year that it would be rolling out mobile-first indexing, an algorithm update that would prioritize the mobile versions of websites in determining search rankings. And with the surge in mobile users online over the past few years and projections that anticipate even higher numbers this year, this was a wise move. Digital marketers would do well to make mobile marketing development their focal point in 2019. This means much more than just having a mobile version of websites. Page load speeds for mobile sites and advertising content that’s optimized for vertical views are crucial areas that need attention. The increasing shift of internet users towards mobile has contributed to the rise of video marketing and vice versa. The impact of video is such that even Google made changes in its search algorithm to include video snippets in search results. Combined with the increased presence of mobile online users and smart devices that use AI, voice search through Alexa, Siri, and Google Assistant has seen huge growth. For brands and digital marketers, this means that creating content with the use of long-tail keywords in ways that closely mimic natural speech and user intent is crucial to gaining and maintaining marketing success online. For a more in-depth look at what is about to come, here’s an infographic on digital trends set to take the stage in 2019, originally published on SERPwatch.io. Check it out and get informed about everything you need to know on the subject. About me Location Incapable Internet Enthusiast | Re-Designer of the World Around | Bodybuilder trapped in a Computer Geek’s Body. New Year is a time when many of us make resolutions and Mark Zuckerberg is no exception. However, this resolution may have a big impact on many lives, both personal and professional. In his quest to improve Facebook and help people feel more connected, Mark announced a new “Facebook Algorithm Change.” This change will elevate personal interactions in the newsfeed while de-prioritizing content from business pages and publishing companies. WHAT DO THESE FACEBOOK ALGORITHM CHANGES MEAN TO INDIVIDUALS? We will see more content from our family and friends vs. random pages we followed. Creating a better connection with people we care about. The meaningless viral videos will no longer be promoted on Facebook. The expected result is that we will waste less time browsing through these. Interesting, thought-provoking conversations will find a way into our newsfeed more often. In theory, these are all great changes designed to create a much better Facebook experience for all of us. WHAT DOES FACEBOOK ALGORITHM CHANGE MEAN TO BUSINESSES? If you are using Facebook to promote your business expect to see both reach and engagement for your business pages to decline. You will likely have to come up with new ways for your content to be seen. New Facebook algorithm will favor Live Video, especially video with engaging content. This may mean that we will see a lot more poor quality videos recorded in the car. It may also mean that some brands will step up and deliver unique, entertaining, thought-provoking and educational content. Facebook algorithm changes will continue to come and go, but building your brand via memorable content will stay. It is your chance to shine. Determine a central theme to your brand and create a live video strategy around it. Focus on a meaningful conversation. The goal is to increase active networking on Facebook vs. click-bait posts asking people to tag friends. Many marketers may opt-in for “shock and awe” type of questions. While these may create some hype around a specific post, these are hardly a way to create a lasting brand. Focus on interesting, relevant, engaging questions and ways to create a dialog. Ask questions that may create a discussion and tap into differences of opinions. Listen to your customers and post answers to their most burning questions. Monitor engagement on your posts and constantly refine the strategy to focus more on the posts that are performing best. Groups have been a great way to create a community around your brand. Facebook algorithm change does not impact content posted in the groups. While groups are harder to build and manage, group members are more connected to each other. As a group admin, you get to design and enforce the rules. learning a new topic and sharing best practices, top challenges, questions. going through similar experiences and making recommendations on resources, approaches; celebrating wins and overcoming failures. Sharing strong passions and interests. The possibilities are endless when you combine passionate people in the same group. Messenger created an unprecedented platform of connected people. Individuals can connect to one another in a matter of minutes. No wonder that popularity of marketing via messenger exploded in the past year. Tap into messenger bots to create advertising strategy. ManyChat and ChatFuel are two of the top bot solutions. Create a conversation with your followers via automated conversations or improve customer service. Deliver valuable downloads to your followers via Messenger Ad campaign. Messenger is an excellent way to keep in touch with your audience. Even if you are not ready to implement the strategy today, start planning for it. Adding a paid social media strategy to your mix is a great idea (especially, with the ongoing algorithm changes). Some marketers speculate that the change will drive the cost of advertising up. Targeting new audiences via ads may become quite costly. Facebook’s latest changes will lead to less time spent on social networks. 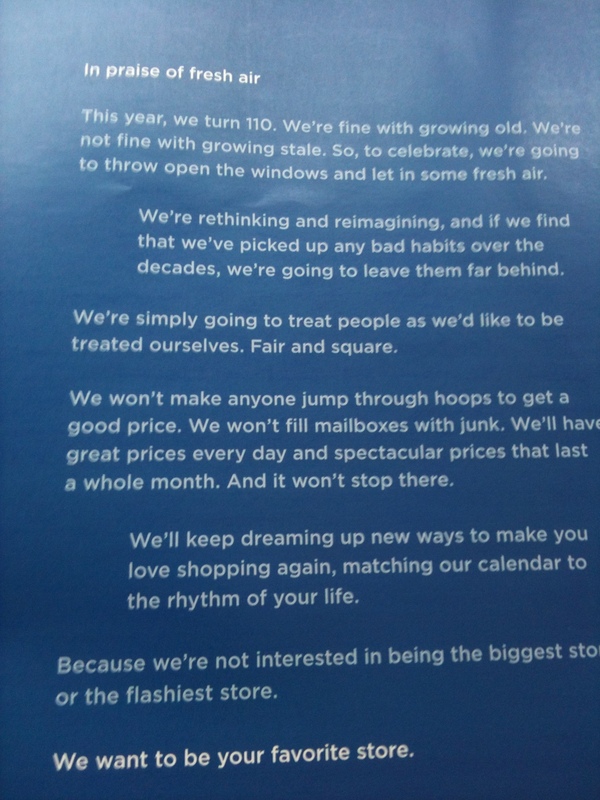 This, in turn, will mean less ad inventory and higher cost. 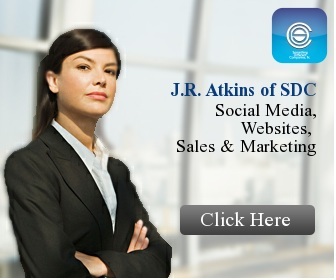 Show a lead magnet people who engaged with your page or your page posts. Even if you are not ready for retargeting today, Install Facebook Pixel to start learning about your audience. LLA targeting is a Facebook goldmine. You have a benefit of tapping into an extensive Facebook database of information on all of its users – and you do that at a fairly low cost. Let’s face it – This is not the last algorithm change by Facebook. With Mark Zuckerberg’s commitment to “Fix Facebook in 2018” we may see more changes that will require all of us to rethink how we market. Constantly evaluate platforms that may enable you to get better results for a higher ROI. The final word is still out on what Facebook algorithm changes mean, but if you start applying these simple tactics today, you will get ahead of the game. Interested in further brainstorming your Facebook marketing strategy, apply for a FREE 15-minute consultation with our team. Thank you to our partner TreDigital for proving the content for this post. I have been recommending Info-Graphics and Professional Graphics to my clients and this one from “The Bean Cast” is a great example. Note the “interesting graphic” with color and images that “pop” and get your attention. The Brand explained “marketing podcast. These are all components of a good graphic you might post on social media. Let me know if you are using graphic images to attract more attention on your social media sites. 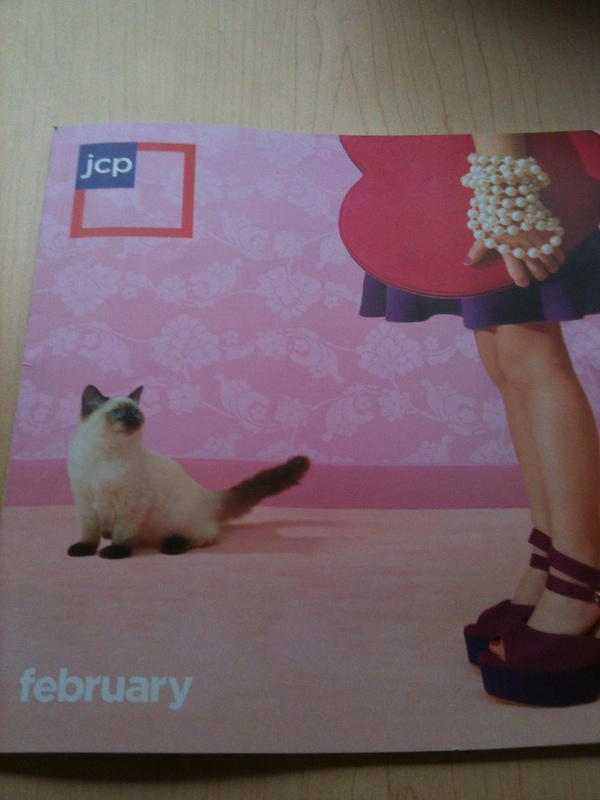 What do you think of the New JC Penny or JCP? I have been an observer of retail brands since my grandfather, A.R. Stark, taught me how to shop as a child. Then Stanly Marcus really got me interested as a student at Texas A&M under Dr. Leonard Berry at the Center for Retail Studies. As JC Penny undergoes a major brand change by former Apple Exec. Ron Johnson, I’m excited to see how it will turn out. Will the market respond positively? I look forward to your comments as well. 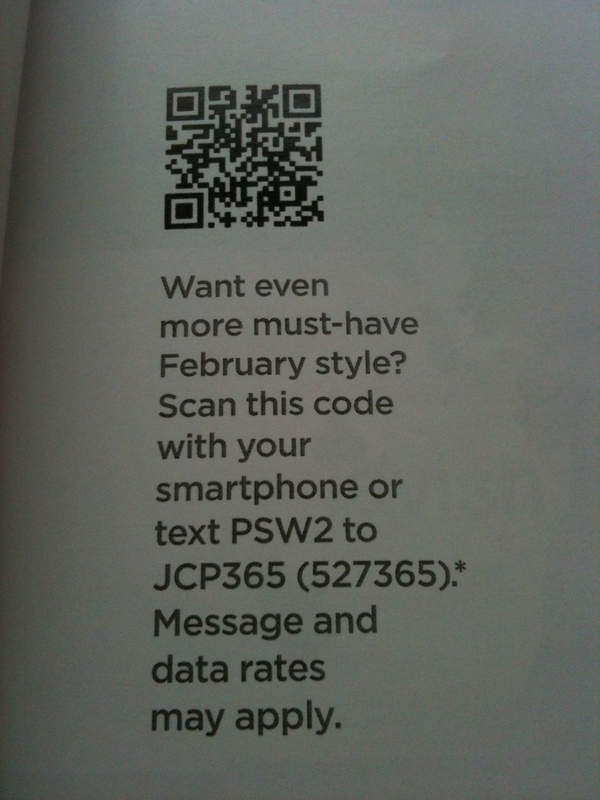 The new JCP catalog is much thinner and is a monthly publication. 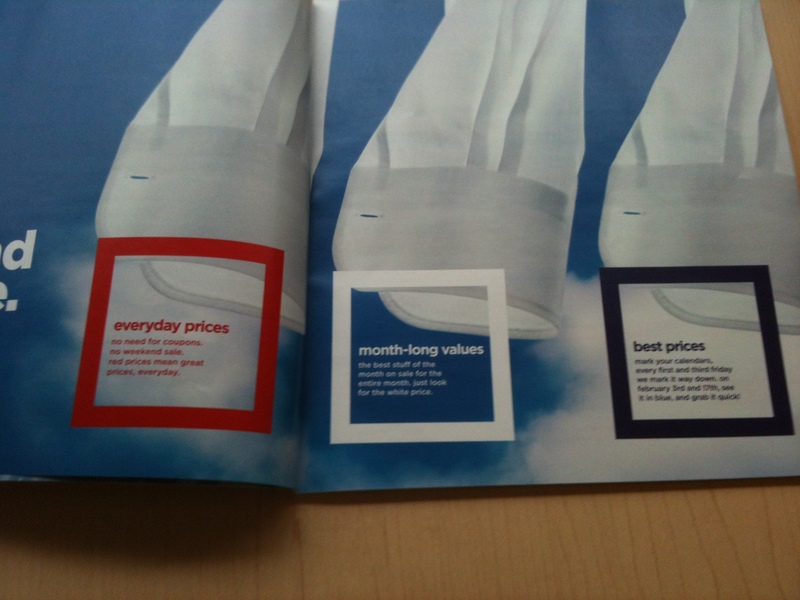 Red, White & Blue color coding for the pricing strategy. 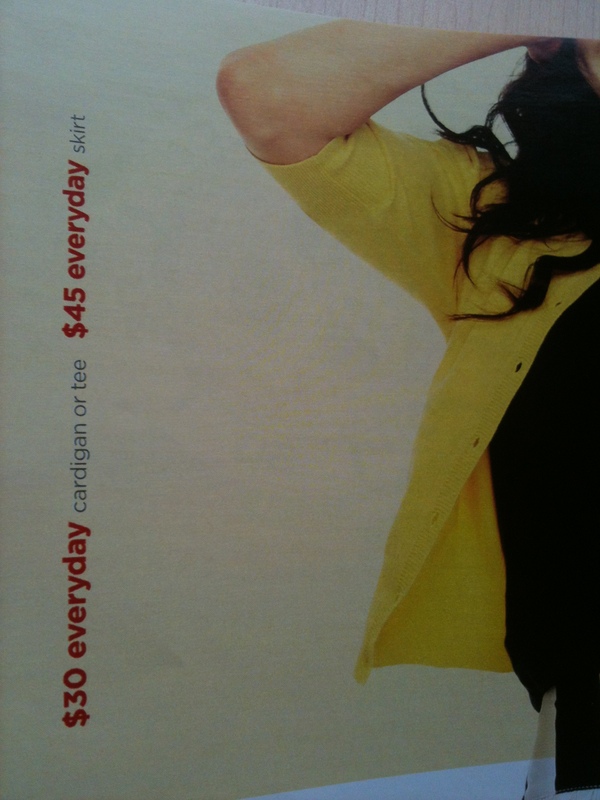 No more “always on sale” at JCP. 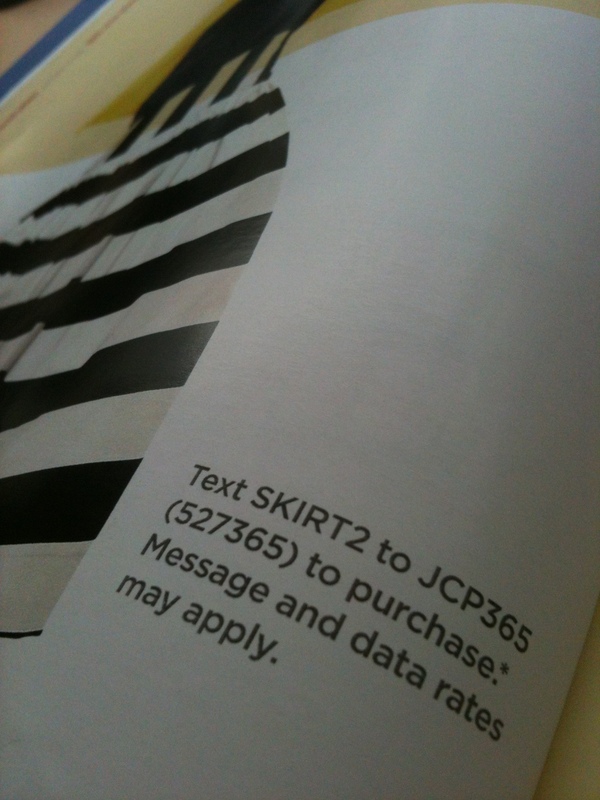 Shop with a QR code. 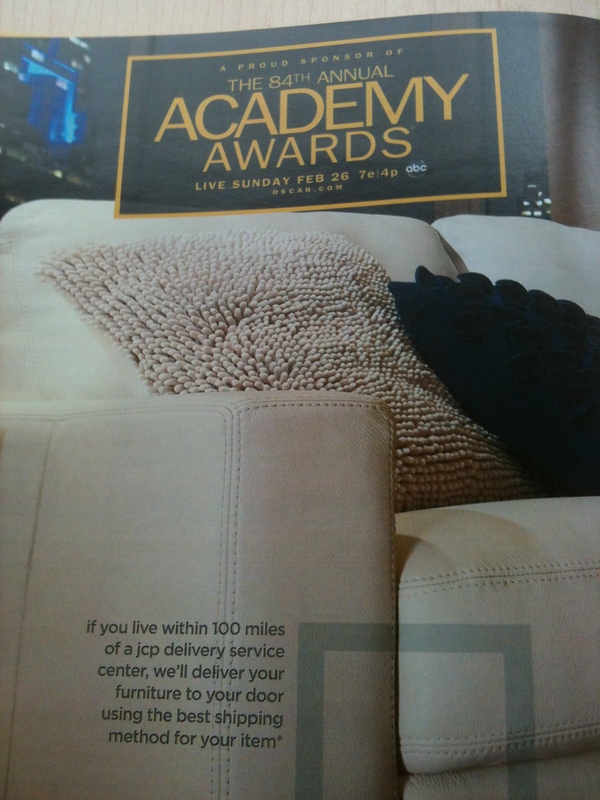 Monthly content targeted towards events like the Super Bowl and the Oscars.